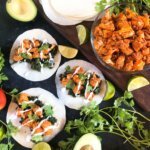 I love tacos and am always looking for new flavor ideas to keep it interesting. I definitely cannot turn down a good taco! 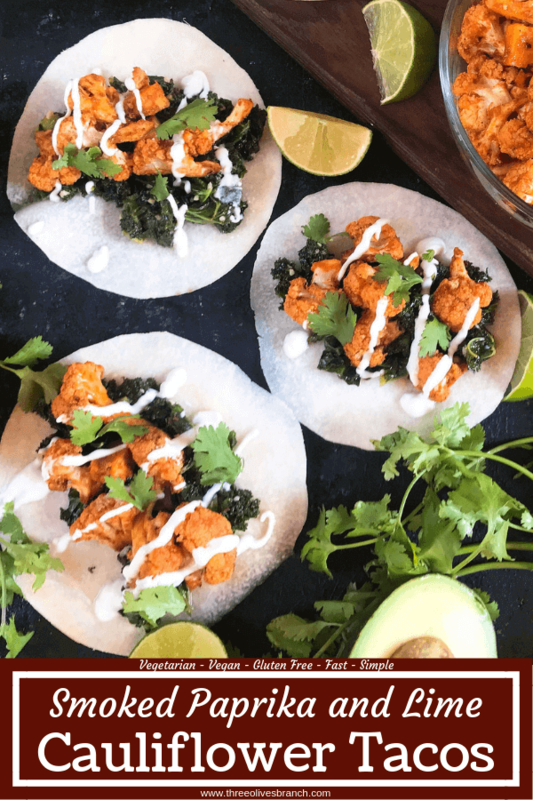 These Roasted Smoked Paprika and Lime Cauliflower Tacos are not only delicious but also quick and simple to make, perfect for busy nights. These tacos are also lighter by swapping out a few ingredients. 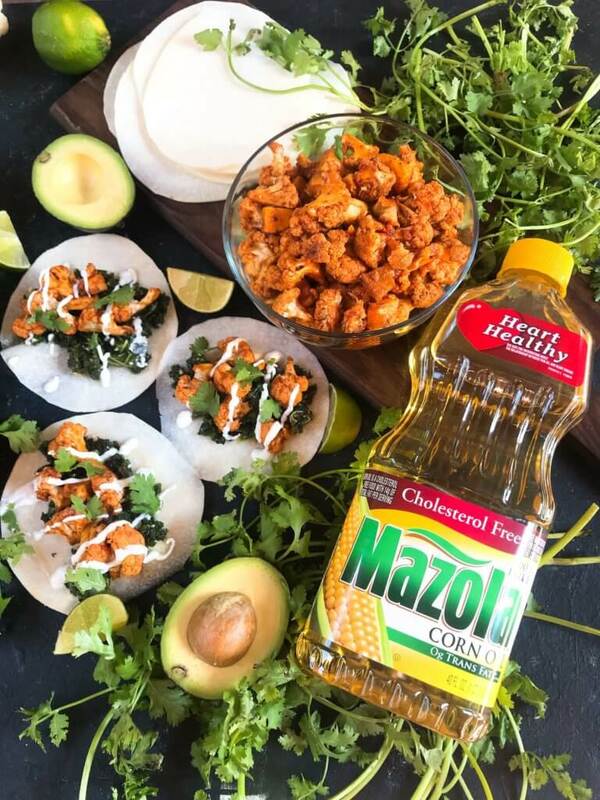 I use Mazola Corn Oil instead of other oils like olive oil or vegetable oil, thin jicama sliced instead of tortillas, cauliflower instead of meat, and plain Greek yogurt instead of sour cream. 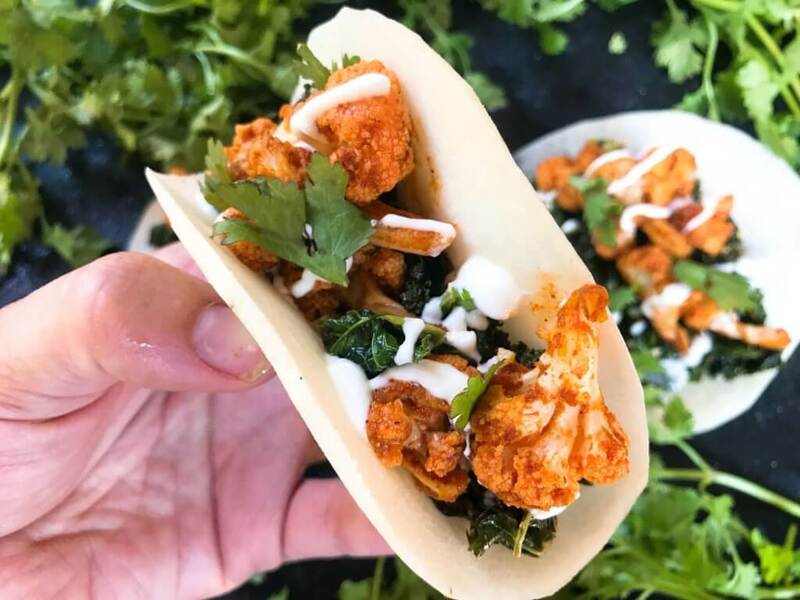 To make these tacos, I roast the cauliflower instead of frying to make them a lighter taco option. 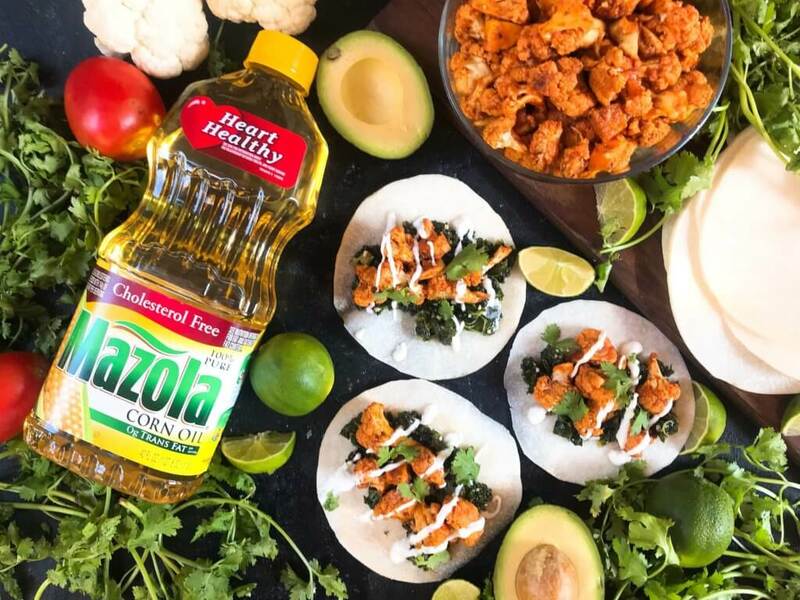 The Mazola Corn Oil is perfect for this as it is an all-purpose cooking oil that is a smart heart-healthy choice for your family. It can be used in a variety of ways such as baking, grilling, sautéing, stir frying, or mixing up a marinade or dressing. 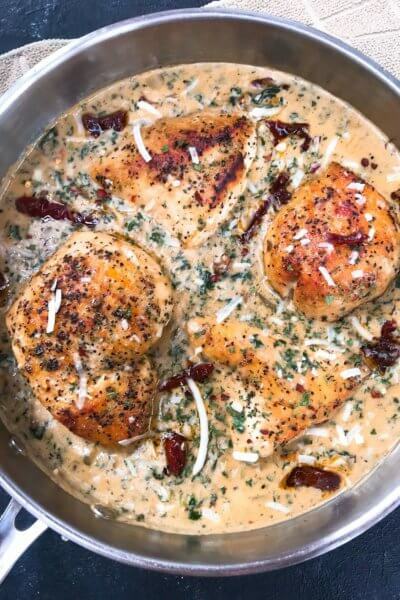 The oil has a neutral taste which means the natural flavor of your food will stand out. First, toss the cauliflower florets with the Mazola Corn Oil, smoked paprika, cumin, garlic powder, salt, and lime juice. Toss to combine and roast at 450F for approximately 10-15 minutes. While the cauliflower is roasting, sauté​ the kale with a little Mazola Corn Oil, garlic, salt, and vegetable stock. When ready to serve, layer the sautéed kale and roasted cauliflower on tin jicama slices and top with your favorite toppings. 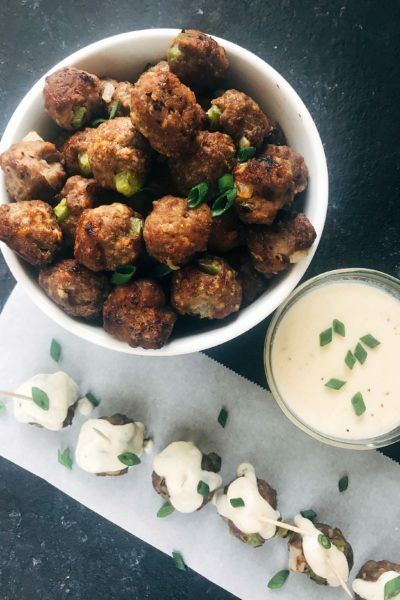 I prefer to use Mazola Corn Oil for this recipe because it has more cholesterol-blocking plant sterols than other cooking oils – four times more than olive oil and one and a half times more than canola oil. Clinical studies indicate that when consumed as part of a diet low in saturated fat and cholesterol, plant sterols can help reduce the absorption of cholesterol in the gut. It is also perfect for roasting because it has a smoke point higher than most cooking oils at 450°F and performs well in a variety of cooking applications, including stir-frying, sautéing, grilling and even baking. 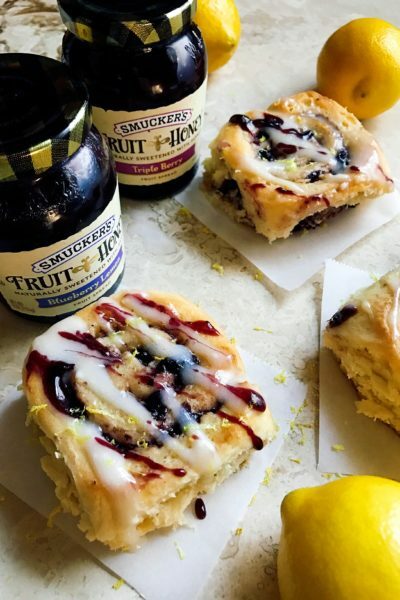 Many home cooks may not realize that all cooking oils have a smoke point that, once exceeded, not only negatively affect the food’s flavor but also the nutritional value. 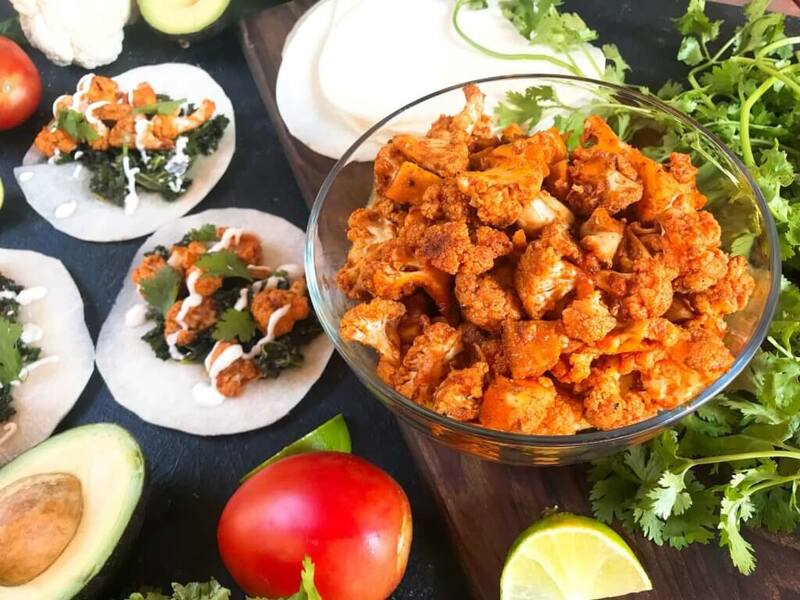 These Smoked Paprika and Lime Cauliflower Tacos have made their way into our regular rotation of meals. 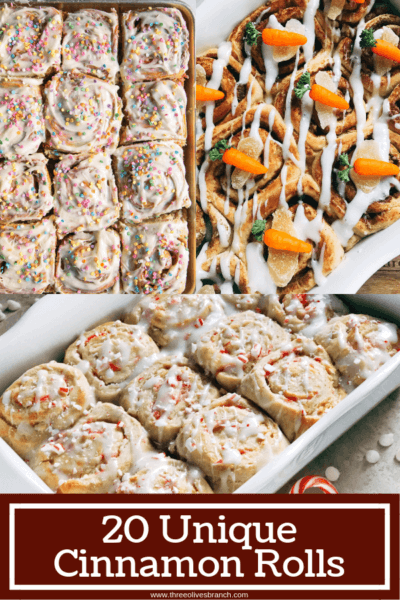 I love all the variations we can make with different toppings including the lighter swaps! Chop the cauliflower into florets. Toss with the Mazola Corn Oil, smoked paprika, chili powder, cumin, garlic powder, salt, and lime juice. 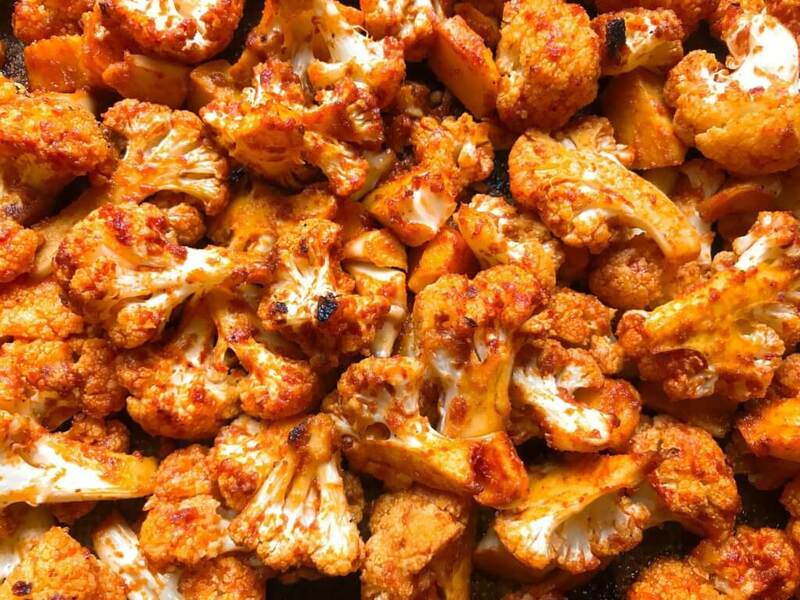 Spread the cauliflower out on a silicone lined baking sheet. Roast in the oven at 450F for approximately 10-15 minutes until tender. Toss once during cooking. While the cauliflower is roasting, heat 2 Tablespoons Mazola Corn Oil in a large skillet over medium heat. Add the chopped kale, garlic, vegetable stock, and salt. Cook until the kale is tender to preference, approximately 5 minutes. Prepare the tacos by slicing the jicama into very thin slices. This is best done with a mandolin. 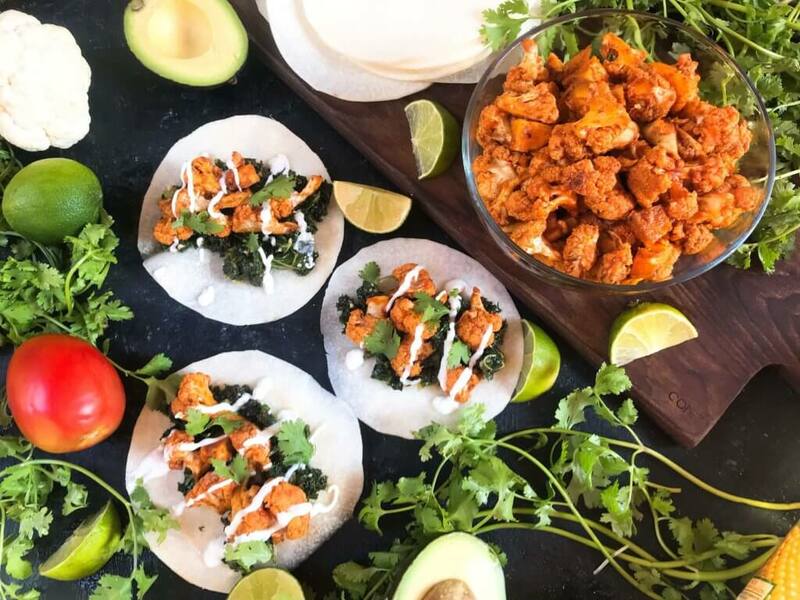 Serve the tacos by layering the kale, cauliflower, and toppings on each jicama slice. 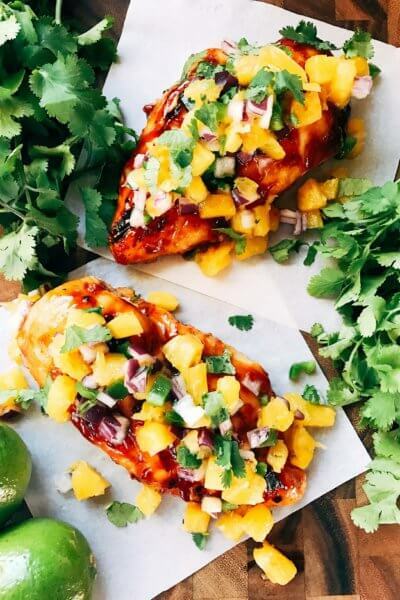 Use your favorite toppings such as plain Greek yogurt in place of sour cream, salsas, avocado, lime, and cilantro.